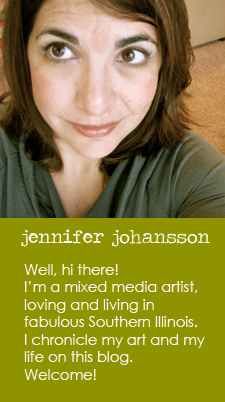 Jen and Ink: My Hometown Art Fair this Weekend! My Hometown Art Fair this Weekend! I'm excited to be heading my hometown of Rockford, Illinois this weekend for the Greenwich Village Art Fair. This is my favorite fair of the year! Find me in booth 90, right across from the Point Lounge. I will debut some brand new, never before seen pieces at Greenwich. Be excited! I am! As you may be able to tell, I'm feeling much better and more confident since my last post. There's been no miraculous improvement in my business, but I've simply realized (again) that I like making art, and I'll continue to make it. Sales will come! Until then, I'm keeping my head down and enjoying the artmaking process. Thanks to all of you for your continued support. Looking forward to seeing lots of familiar faces in Rockford this weekend. Ta-Ta for now. Thanks for chiming in! I love to hear what you have to say. Is it Time to Quit?